The weather is now lovely with a slight morning nip in the air .Winter has its own set of beauty and skin care issues .The hair and skin get dry and rough , I have already talked earlier about various skin care solutions for winters ,so today I will tell about a great hair care solution I recently discovered through my Fabbag. 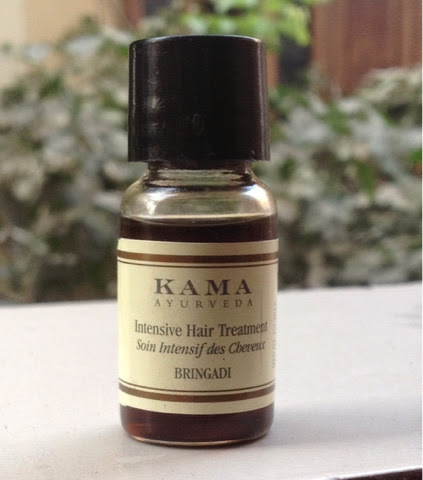 Recommended in the ancient Sabasrayogam Ayurveda text for lush and healthy hair. It thickens hair while adding body and shine. Removes loose dandruff flakes. Naturally conditioning. The secret of luxuriant, glossy hair. This combination of herbs, processed in pure sesame oil and milk, includes indigo (neeli), eclipta alba and goosberry, said in Ayurveda to promote hair growth. Balloon vine helps to maintain a healthy scalp. Liquorice with its antiseptic properties protects against bacterial and fungal infections. Apply to dry hair and massage thoroughly into scalp and hair. Leave for 10-20 minutes (or as long as you want), then wash with mild KAMA Hair Cleanser. May be used every day. No conditioner is necessary as Bringadi is naturally conditioning. It is safe for all hair types but should not be applied for 14 days after hair is treated or coloured. 1. 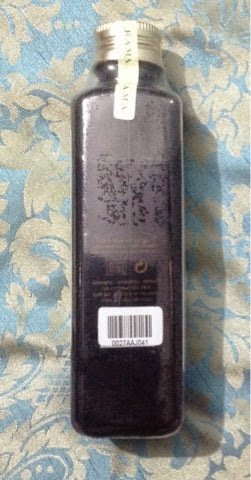 Definitely helpful in reducing dandruff flakes and scalp irritation .I experienced almost instant relief in scalp irritation after application. 2. Conditions the hair , makes them smoother ,glossier and more manageable . 3. 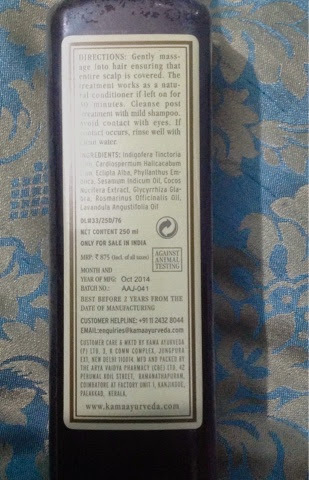 Helps in reducing hair fall with regular use ,I have used it 3-4 times and already found it very helpful in reducing the hair fall . 4. Good quality , it is used in leading spas and hotels worldwide because of its authenticity. 5. 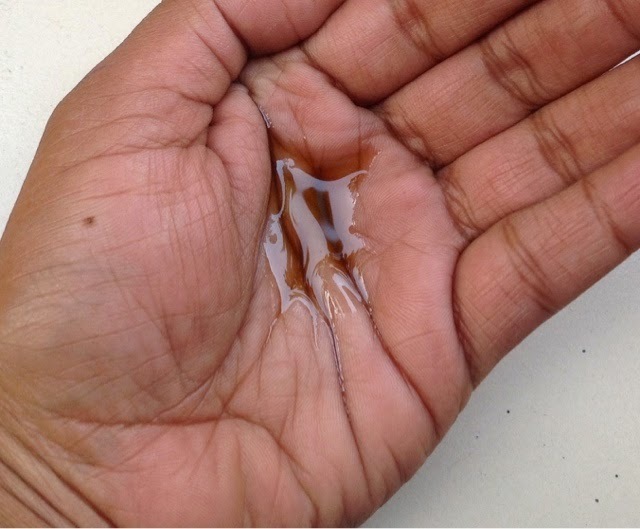 It does not solidify in winters unlike coconut oils , so that is a convenience . 6. Not sticky , so does not make the hair very greasy . 1. 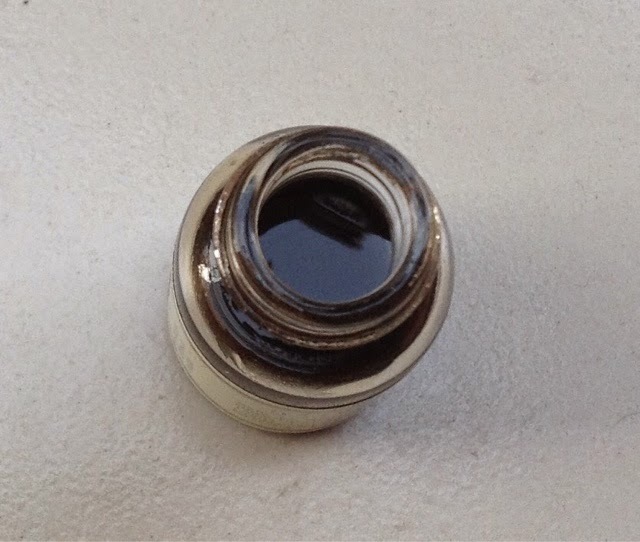 Expensive compared to other regular oils but considering how good it is well worth it. 3. The odour, yes it has an unpleasant smell A very strong smell of "Trifala " .That is why I used it only for one hour and then washed it off . Final verdict - I rate it 4.8 / 5. 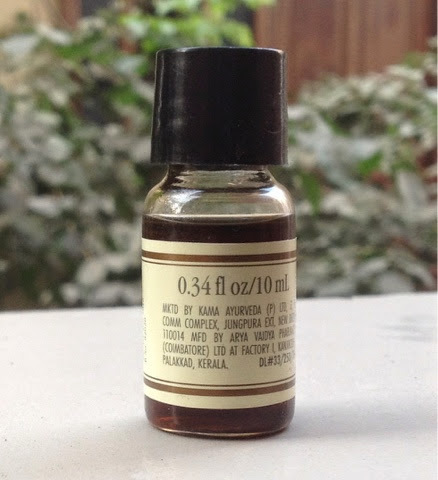 It has all the qualities that you want in a hair oil - nourishment ,protection and care . I have deducted marks for its strong smell. 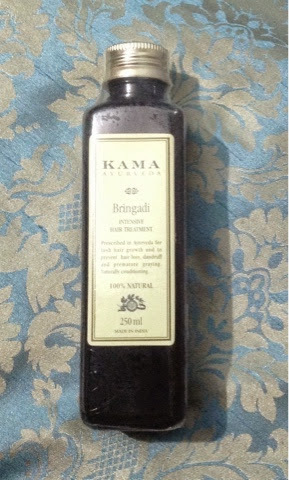 In fact I am so impressed with Kama intensive Hair treatment Bringadi Oil that I have ordered its full size already. If you have any comments or want to share your experience about this product then please use the comments section below. Jayshree I am sure you will love it .I think it is all round care for hair .